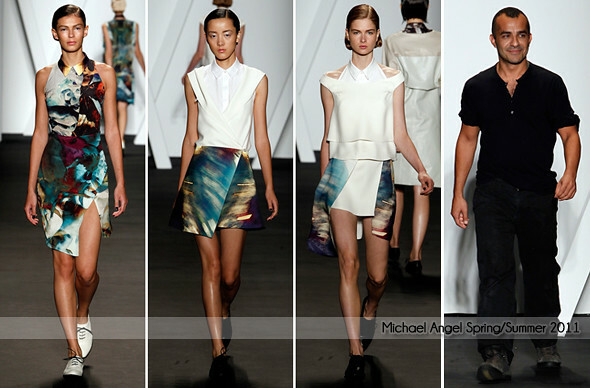 Some of you may know the Australian designer from my previous review, last season. And you know.. 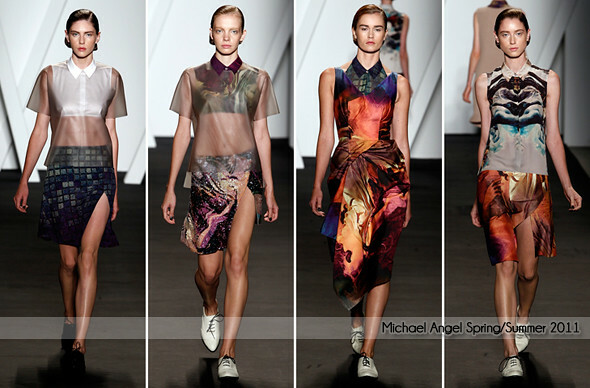 I'm a fan of the Australian designer, Michael Angel. Lots of layering in this collection, including collars and translucent latex much like designer, Rachael Barrett. What I like about the collection is definitely the prints!.. what he does best. Every season, he continues to bring something new and refreshing. I am absolutely in love! He is like the Mary Katrantzou of New York.